Aadesh Bhangre, Senior Content Writer, Team Pumpkin, never thought he’d work in an advertising space. Having joined as an entry level executive in the organisation nearly two years ago, he has come a long way. In these two years he has worked with some the biggest brands in India such as Freecharge, Pizza Hut, Nilkamal and many more. 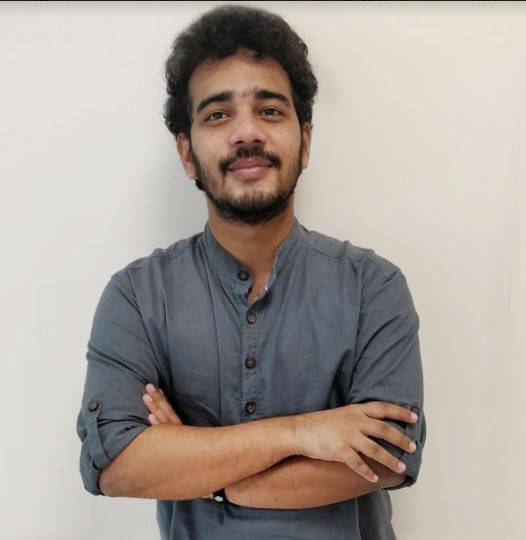 Prior to this stint, he worked as a trainee at Localbanya.com and interned with TV Today Network and Hindustan Times. It was a series of accidents actually. Advertising was not something I had intended to do professionally. So, after trying my hand at Life Sciences, Geology and journalism, I just happened to stumble and fall into this rabbit hole. The ability to think and foretell how the audience will respond to a particular campaign/ copy, only to be surprised and then learn from it. I don’t hold on to the glories of past. However, I keep them close enough to be able to refer to and learn from them when needed. Nonetheless, if I have to pick a recent one, it would be the Independence Day campaign we did for Puravankara Builders and their sister brand, Provident. Provident this year broke the world record for “World’s Biggest Greeting Card”. It was unveiled on Independence Day and was dedicated to the government’s affordable housing initiative. Though I wasn’t involved at the ground level, I helped plan a social media buzz around it. For Puravankara, it was a simple video campaign. It was a last minute requirement and our necks were pretty much on the line for it. So, at the stroke of midnight, when India awakened to freedom for the 71st time, we were still talking to the client and making the required changes. I isolate myself. If I cannot do that physically, I put my headphones on and listen to some instrumental music, usually a mix of violin and piano nocturnes. I then let my mind run wild and scribble everything that flows, even if they are lines from Bollywood songs or random puns, till I have a bank of ideas. I follow the practice of “4+1,” meaning the first four ideas will always be useless or just satisfactory. Don’t settle for those. The one after that will be a breakthrough. Although, sometimes it does take more than “4+1” ideas, whereas sometimes it is a mix of all or some of these. There honestly aren’t any that I follow ardently. It is something I need to start doing though. Study the work done by people in this profession and even outside of it. Read – newsletters, industry news, books, anything that catches my attention or distracts me. Sleep – I used to be a night owl, but now I need enough sleep to function. Switch off – although I work in a digital space, I prefer not to spend a lot of time on the internet, especially on social media. Scribble – I doodle and scribble a lot. It helps me declutter the mind. Walk – I think better when I walk. It is. There comes a time when one will feel saturated, but things never get mundane. Even if they do, it does not last for long. Something exciting always comes by. A thick skin and an elastic heart! An attitude of rising up after every failure and of being flexible enough to think and experiment. There will be very little handholding when you come in. A lot of things will have to be figured out on your own. Here, it won’t be like your college projects or presentations, wherein you will have fixed rules or guidelines to follow. You will be working with different clients who have a different temperament and different expectations. It is you who will have to adapt and evolve with every project you do, every person you work with. Five years down the line, I may not even be in advertising. One thing I have experienced in my short little life is that plans don’t work. It could be possible that I don’t work hard enough to see them through the end, but whenever I have made long term plans, they have not worked for me. So, I’d rather live in the moment and do my best in whatever it is that I am doing. More than agency, I hope to work with people who have something to teach me. Something that helps me evolve, both professionally and as a person. I have been lucky so far to find such people and I hope I continue to in the future too.